Rewind to February 2014 and Macau’s economy was booming. Spearheaded by the former-Portuguese colony’s dominating casino industry, Macau’s gambling-centric economy had been steadily growing since 2009. Already a hotspot for jet-setting gamblers, Macau’s appearance in James Bond blockbuster Skyfall had only seen the Chinese Special Administrative Zone’s standing as an international gambling mecca rise further. This time last year, Macau’s already hefty gambling revenue grew by an astounding 40 per cent, reaching a record-breaking 38 billion patacas or around $4.7 billion. To put this in perspective, Las Vegas’ Strip revenue for 2014 was only $6.3 billion. Macau was not simply becoming the gambling destination of the world, it had already ascended. With online casinos ruthlessly poaching casual gamblers from Las Vegas and many now forgoing a trip to Nevada for the comfort of their own living room, Macau ushered in a more select and elite clientele with hefty wallets. Whilst real-money casino games like online roulette and digital poker attracted your average gambler, Macau attracted those who lived for the jet-set lifestyle, unrivalled luxury and undeniable prestige. These were people who did not want to be sat by a computer making $10 bets. They wanted to be sitting beneath diamond-dripping chandeliers and laying down their gold American Express cards. However, whilst online casino’s appeal to the masses could not dent Macau’s success, governmental interference could. China, having had several international controversies involving corruption and hypocrisy regarding the communist party’s elite overindulgence, decided to crackdown on anything connected to this criticism. The crackdown saw several top mainland officials and regular Macau gamblers brought down. It also soon saw the elite classes turning away from Macau in fear of being somehow incriminated. By the fourth quarter of 2014, Macau’s economy had shrunk by more than 17%. This decline got worse in February, when spearheaded by Macau’s gambling revenue falling by 49%. This was the ninth successive month that this casino-centric economy had declined. This erosion of Macau’s backbone industry has seen the zone’s five years of uninterrupted growth come to an abrupt end. It has caused numerous development projects to be put on hold. It seems likely that the destruction of Macau’s gambling industry will come close to sinking the zone itself. 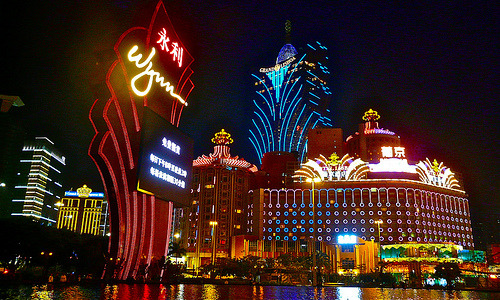 Macau’s economy is reliant upon its tourism trade, which is almost exclusively related to gambling. 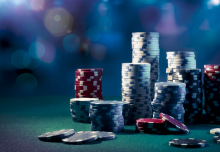 Thousands of its residents are either directly employed by the casino industry or within supporting sectors and there are few backup revenue creators in place. 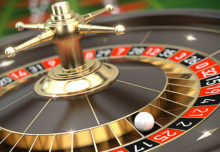 However, this will benefit other members of the worldwide gambling industry. Macau’s fall will potentially assist the increasing stranglehold that the online casino already has over the industry. Additionally, if played correctly, a developing country could seize the opportunity and develop a casino industry to attract this floating, elite demographic. Moreover, whilst this is occurring, declining and former gambling hotspots like Hong Kong and Monte Carlo could potentially see a revival, with burned patrons returning to safer and more familiar environments after seeing their Macau escapades end so damagingly.